If you are considering dental implants, you may be wondering what the entire timeline looks like from start to finish. At Astoria Dental Group, we perform every step of implant treatment at our office, and our highly knowledgeable doctors can explain what to expect from your initial consultation through your long-term care. Why should you undergo the dental implant process at our office? At Astoria Dental Group, Dr. Clifford Degel and Carmel Every-Degel carefully screen every dental implant candidate. During this appointment, we will also plan your custom procedure and screen you for conditions such as bone loss. Our doctors work closely with each patient to find a tooth replacement option that fits their needs, budget, and time constraints. In some cases, your dental implants timeline could be considerably shortened. With teeth-in-a-day, our doctors can place mini implant posts and attach a Prettau® bridge or full denture in a single office visit. Additionally, our dentists use SIMPLANT® software and Mini Drive-Lock® implants to speed your recovery time. While some dentists place implants then send their patients off to another dentist or prosthodontist, our highly trained doctors provide all types of custom-made restorations that function and feel real within your smile, helping you improve your self-esteem. Our patients' comfort and safety are our primary concerns during any procedure, and we want you to feel completely at ease before beginning your treatment. Our office is designed to calm and relax our patients; from aromatherapy to massage chairs, we will go the extra mile to ensure your comfort. 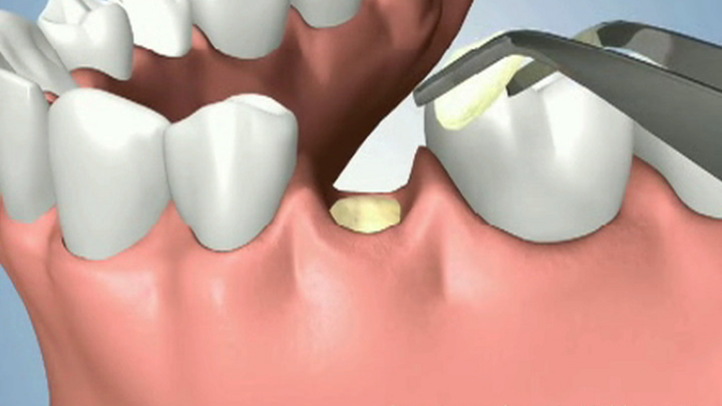 The Prettau implant bridge can replace a full arch of missing teeth in just one visit. Wondering how long the dental implant process takes? Patients who want dental implants are often hesitant about the required time commitment for treatment. Your unique timeline will vary based on a number of factors, including whether you choose traditional or mini implants. With traditional dental implants, you may need to wait several months before you can receive your restoration. However, Dr. Degel and Dr. Every-Degel also offer advanced same-day implants at our office. For eligible patients who want to expedite the dental implant process, we can place mini dental implants and the restorations in just one appointment. Your specific timeline will depend on your unique procedure. If you are replacing multiple teeth, the process will be longer than if you are replacing a single missing tooth. For example, if you undergo a bone graft, recovery could take up to 12 months. Alternatively, if you receive teeth-in-a-day, your dentist will place mini implant posts and attach your restoration in the same appointment. Your dentist will provide a consultation before your procedure. At this time, he or she will plan your surgery and help you choose the right type of implants for your needs. Although dental implants can require a lengthy time investment, they offer long-lasting benefits. By replacing missing teeth, dental implants can help you improve your self-confidence for a lifetime. 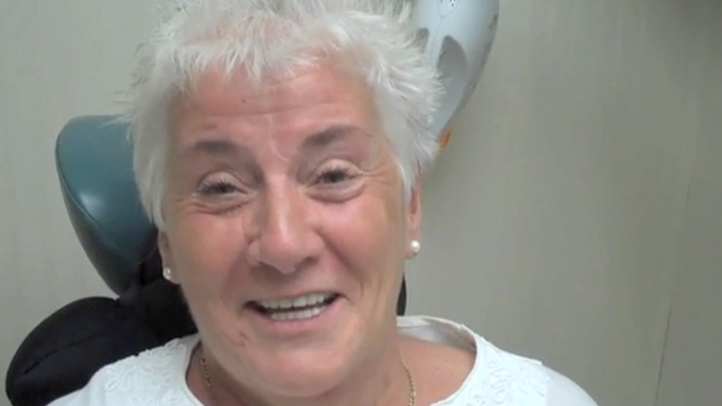 What is the first step for a patient who wants dental implants? We individually tailor each course of treatment so that it alleviates any anxiety you have, in addition to restoring function and aesthetics to your smile. The first step in the process is a dental implants consultation at our dental practice. During this initial appointment, we can determine your candidacy and begin to form a personalized treatment plan. Our skilled dentists, Dr. Degel and Dr. Every-Degel, will take the time to carefully explain each step in your procedure, ensuring you fully understand all aspects of your care before your surgery. After the examination and prerequisite work is complete, the final step in your dental implant consultation will be to design your new smile. Factors like your restorative goals, budget, and aesthetic concerns will help determine which type of restoration and implant is right for you. Modern dental prosthetics use biocompatible materials that look very similar to your natural teeth. In fact, some restorations like Prettau® Anterior are so lifelike that they are virtually indistinguishable from the surrounding teeth. After your consultation, how do our dentists plan your treatment? Before you receive your implants, you will have a complete consultation with Dr. Degel or Dr. Every-Degel. Your dentist will determine if you are a good candidate for dental implants and begin planning your personal procedure. At this time, he or she can give you a good approximation of your dental implant timeline. You may require some preparatory procedures before you can receive implants. For example, if you have suffered jawbone recession as a result of tooth loss, you may require a bone graft. During this procedure, your dentist will enhance your jawbone to create a strong base for your implants. Bone grafting will affect your implant timeline. Typically, you will have to wait six to 12 months for your bone to heal. After recovery, Dr. Degel or Dr. Every-Degel can place your implants. How can these steps help our doctors determine if you are eligible? Most patients who are missing one or more of their natural teeth and have sufficient jawbone mass to support the implant posts will be suitable candidates for dental implant surgery. Patients who lack the necessary jawbone density may first have to undergo a bone grafting procedure in order to improve their candidacy for implant dentistry. Our office is equipped with the team, techniques, and high-end technology to perform dental implant surgery for virtually every patient. The success of dental implant surgery depends on careful screening of patients and meticulous planning of the placement of the implants. Dr. Degel will provide treatment for any periodontal or other oral health issues that need to be resolved in order to ensure the best results possible for your dental implant surgery. How can you prepare for a successful procedure? Are there any risks to be aware of before surgery? As with any other surgery, there are some risks associated with dental implant surgery, including infection, damaged blood vessels, or numbness in your mouth. These side effects are rare, however, and almost always temporary. What can you expect during the actual surgery? If you do not require any preparatory work, your dentist may schedule your implant surgery soon after your consultation. The length of the surgery will vary, depending on how many implants you are going to receive. It will typically take an hour if you are going to receive one implant. The surgery may last two or three hours for multiple implant placement. The Prettau® Implant Bridge is one of the most reliable options in restorative dentistry. The process of placing your bridge will be complete in two visits, and you will experience little to no pain throughout the entire treatment. First, a CT scan of your skull will be done to accurately analyze the condition of your mouth and plot out the exact sites where the implants will be embedded. To make sure you’re comfortable, your surrounding teeth and gums will be numbed. Next, the implant posts will be carefully placed in your jaw, along with abutments, or connectors, that will hold the Prettau® Implant Bridge firmly in place. It will take a few weeks for your jawbone to heal around the implants, by which time your custom-crafted bridge will be ready for placement. When we receive your Prettau® Implant Bridge, you’ll come in for a test run of your new teeth. Dr. Degel will check to ensure that your bridge fits your mouth comfortably. If there are no adjustments to make, he’ll clean them and securely affix them to your implants. Dental implants are an excellent way to replace missing teeth with permanent, stable restorations. If you are considering a dental implant, you may be wondering about the recovery process. Our doctors use precise surgical techniques to reduce your recovery time and enhance your healing. In some cases, Drs. Degel and Every-Degel can also provide mini implants or teeth-in-a-day, which involve a quick, minimal discomfort recovery. Whether you receive traditional or mini implants, our dentists will provide complete guidance and care throughout the dental implant recovery process. If you are considering dental implants, you may be concerned about aftercare and hygiene. After all, you do not want to receive a restoration that involves ongoing and inconvenient maintenance. Fortunately, dental implant aftercare is simple, and implant-supported restorations can be cared for just like your natural teeth. However, you will need to take a few precautions immediately after you have undergone implant surgery at our practice. Dr. Degel or Dr. Every-Degel can guide you in proper post-operative care. With long-term maintenance, implants could last the rest of your life, while the restorations can last for a decade or more. Why is osseointegration such an important part of the process? When patients are missing teeth, dental implants are the best method to help restore the look and function of their smiles. Once implants are securely in place, they fuse with the jawbone during a process called osseointegration. At our practice, Drs. Degel and Every-Degel have used implant-supported restorations to help many patients achieve strong, beautiful smiles. The crucial process of osseointegration will allow your implant to mimic the function of a dental root while preventing the bone atrophy that naturally occurs after tooth loss. The stability provided by the process also ensures that patients will not have to worry about their prosthetics moving out of place so they can eat, speak, and smile with complete confidence. What happens once you are fully recovered? It will usually take about four to six months for your bone and gums to seal around the implant posts in a process called osseointegration. During this time, you may have several follow-up appointments, so your dentist can monitor your progress. While you recover, our dental lab will fabricate your restoration. It should be ready for placement as soon as your jaw has healed. When you have recovered, you will return for your second appointment. It will usually take about four to six months for your bone and gums to seal around the implant posts in a process called osseointegration. During this time, you may have several follow-up appointments, so your dentist can monitor your progress. Your dentist will check the fit of your restoration. If there are no necessary adjustments, he or she will attach your new teeth to the top of the implant posts. You will typically leave the office with full dental functionality and a beautiful smile.